Local students are completing an art project that will be on permanent display. In 2008, the Heartland Waterways Corridor, which includes Taylor County, received a grant to paint and hang quilt patterns on the sides of barns. Since then, eight quilts have been painted and hung on barns in Taylor County. After recently receiving another $800 in grant funding, three more paintings will soon hang on barns in the county. 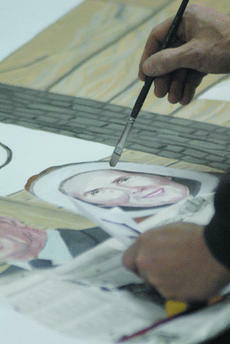 And, this time, a group of Taylor County High School students will paint them. Shaun and Kim Shofner of Campbellsville announce the birth of a daughter, Allison Kate, at 8:54 p.m. on Friday, March 5 at Springview Hospital in Lebanon. She weighed 6 pounds, 10 ounces and was 20 inches long. Grandparents are Gean and Danny Wright and Gary McFelia, all of Greensburg, Mary Lynn Shofner of Campbellsville and the late Chuck Shofner. The Vision Riders Chapter of the Christian Motorcyclists Association hosted a Polar Bear Run on New Year's Day. 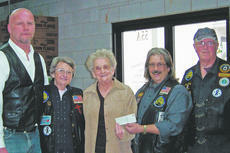 The annual ride raises money to benefit local food pantry operations in the counties that have chapter members. The Vision Riders chapter is officially chartered in Taylor County but also has members in Green, Adair, LaRue and Marion counties. Chapter members recently presented Taylor County Food Pantry Director Marietta Moyers with a check in the amount of $525. 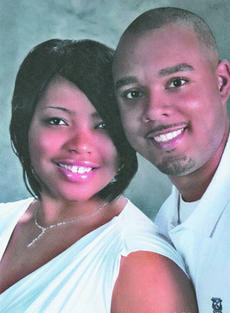 LaToya Jenee Webster and Anthony Benberry of Paducah announce their forthcoming marriage on Saturday, May 1. Webster is the daughter of Phyllis Webster of Campbellsville and Marvin Young of Bowling Green. She is a graduate of Lindsey Wilson College in Columbia. Benberry is the son of Doris and Archie Benberry of Paducah. He is a graduate of Western Kentucky University. The ceremony will be at Harrison Street Missionary Baptist Church in Paducah. Henry E. Lee, president-elect of the Rotary Club of Campbellsville completed the three-day Rotary multi-district training session Sunday, March 21 in Nashville, Tenn.
Mid-South Presidents-Elect Training Seminar, P.E.T.S., is a multi-state training session of the six Rotary districts in Alabama, Kentucky and Tennessee. 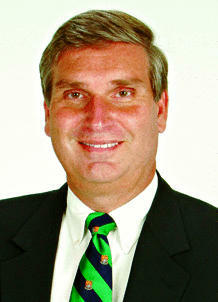 Rotary club leaders generally represent key community leaders throughout the world. HIGH SCHOOL BASEBALL — Bardstown at Campbellsville (5:30) and Taylor County at Cumberland County (5:00). HIGH SCHOOL SOFTBALL — Metcalfe County at Campbellsville (5:00). UNIVERSITY BASEBALL — Campbellsville at West Virginia Tech (1:00). UNIVERSITY BASEBALL — Campbellsville at West Virginia Tech (12:00). UNIVERSITY SOFTBALL — Georgetown at Campbellsville (1:00). A Campbellsville novelty store was burglarized Thursday evening. According to Campbellsville Police, they received an alarm call to White Trash Customs just before 9 p.m. Upon officers' arrival, they found the front door had been kicked in and items taken from the store. Anyone with information about this burglary is asked to contact the Campbellsville Police Department at 465-4122. Callers may remain anonymous by calling the PRIDE hotline at 469-7743 or visiting the Campbellsville Police Web site at campbellsvillepolice.com and submitting a tip form. The six-time defending 20th District Tournament champion Taylor County Lady Cardinals began their 2010 softball season with a 4-0 home win over LaRue County and a 9-7 road triumph at Washington County. Coach Kelly Townsend’s club blanked LaRue County on Tuesday as Bethany Skaggs gave up only two hits and struck out two in five innings while Brianne Leach got the save, allowing no hits and striking out two in her two-inning stint. McCall Turpin was 2-2 with two runs, two steals and a walk while fellow senior Kasey Gribbins went 2-3 with a double and an RBI. The Campbellsville University Lady Tigers swept a softball doubleheader at home from St. Catharine College and won three of four from Rio Grande on the road last week to gain sole possession of first place in the Mid-South Conference race. 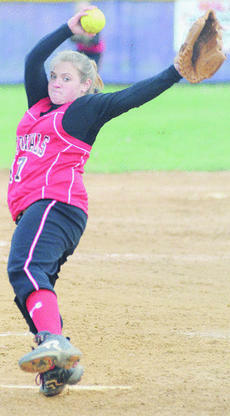 Coach Shannon Wathen’s club was led by junior Alex Jane Clemmons who earned MSC Player of the Week honors. The Smiths Grove native hit .667 (12-18) with two home runs and 13 RBI and hit safely in the six-game stretch. He dips his brush into the paint, takes a breath and gets to work. Surrounded only by obsolete voting equipment, talk radio in the background and a heater to keep him warm, Joshua Mason squats on top of the painting and works on perfecting the details of a woman's face. Wearing protective shoes, Mason plants his feet on a mat and kneels to get close to his piece of art. It's only mid-morning, but he has lots of work to do.